On Wednesday 21st May Teresa Marshall and her husband Robert gave an interesting and enlightening talk on Hedgehogs. 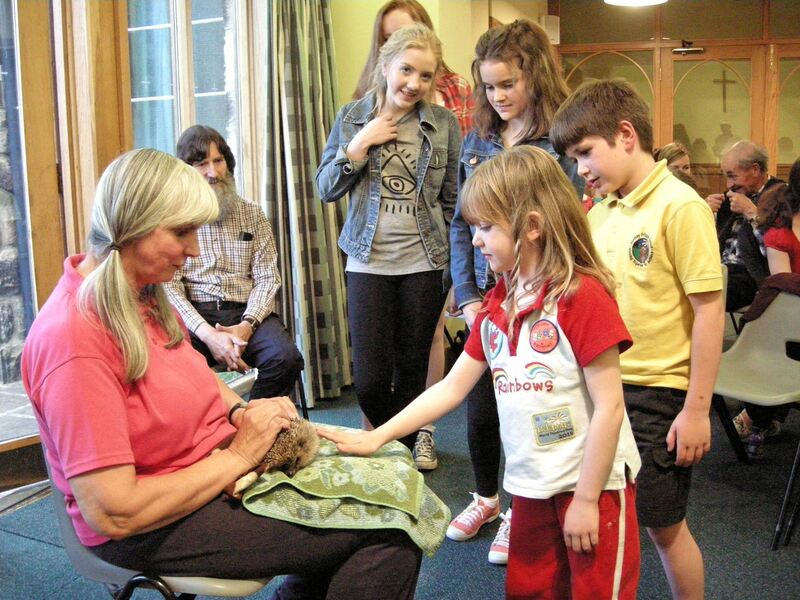 They brought along a live animal for us to look at and there were photographic displays of their Hedgehog “Hogspital” and of the development of hedgehogs from hedgehoglet to adult. 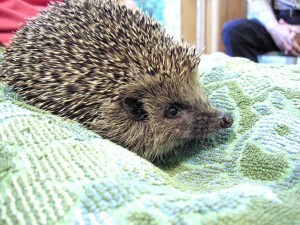 Hedgehogs numbers are in serious decline; down 35% in the last ten years. Although we see many hedgehogs squashed on the road, one of their biggest dangers is man with his strimmers, sprays and slug pellets. But the main reason for their decline is habitat loss and one of the best ways we can help hedgehogs is to leave wild areas in our gardens. Robert and Teresa will be back in East Keswick on the 13th July when they will lead a Minibeast Event in the Elliker field where we hope to identify as many creepy crawlies as possible and to which everyone is invited.